In our new media era where everything said, thought, or alluded to is “racist,” we can now add the word “Chicago” to that growing list of words now to be considered racial slurs. This was Chris Matthews’ proclamation as he sought to analyze the current political climate. 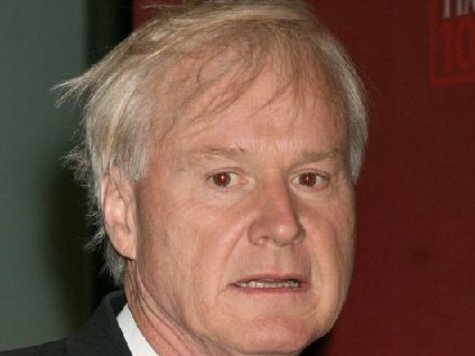 Chris Matthews: Yea, well let me ask you about that gentleman. What about now, is this constant barrage of assaults, saying the guy is basically playing an old game of demagoguery politics, where you take the money from the worker bees and give it to the poor people to buy votes. That’s basically what they’re charging him with. Old big-style, big-city machine of 50 years ago. They keep saying Chicago by the way, have you noticed? They keep saying Chicago. That’s another thing that sends that message – this guy’s helping the poor people in the bad neighborhoods, screwing us in the burbs. As Rusty Weiss notes, there’s a lot of whites in Chicago, too. In fact, at 45 percent of the population, there are more whites than blacks (33 percent) in the city. So, how is it that saying “Chicago” isn’t alluding to whites? We all know what Republicans that continually link Obama to Chicago are saying. It isn’t “racism” but “corruption” we are to read between those lines. Chicago has been affirmed as one of the most corrupt cities in the nation with over 1,500 officials having been sent to jail since 1976. And there are several hundred more jailed politicians and officials from the rest of the state of Illinois. Would you like to see the mounting list of words that have quixotically become “racist”? Then check out Duane Lestor’s growing tally.